American Mystery Classics, 9781613161029, 312pp. An all-around skeptic when it comes to the supernatural, literature professor William Porter gives no credence to claims that Twin Towers, the seaside manor he's just inherited, might be haunted. He finds nothing mysterious about the conditions in which his Uncle Horace died, leaving the property behind; it was a simple case of cardiac arrest, nothing more. So, though his wife, more attuned to spiritual disturbance, refuses to occupy the main house, Porter convinces her to spend a summer at the estate and stay in the lodge elsewhere on the grounds. But not long after they arrive, Porter sees the evidence of haunting that the townspeople speak of: a shadowy figure illuminated by the red light of Horace's writing lamp, the very light that shone on the scene of his death. And though he isn't convinced that it is a spirit and not a man, Porter knows that, whichever it is, the figure is responsible for the rash of murders--first of sheep, then of people--that breaks out across the countryside. Somehow, though, the suspect eludes him every time and, in his pursuit, Porter risks implicating himself in the very crimes he hopes to solve. 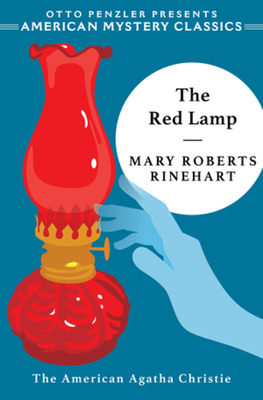 Written with atmospheric prose and tension that rises with every page, The Red Lamp is a hybrid of murder mystery and gothic romance that shows the "American Agatha Christie" at the height of her powers.